We have taken off some vacation time, but now we are back. It is unfortunate that human rights violators do not take time off. This week we refer you to the Center for Biological Diversity. We quote the mission statement: The Center for Biological Diversity’s mission is to secure a future for all species, great and small, hovering on the brink of extinction, with a focus on protecting the lands, waters and climate that species need to survive. Our members are the source of our success — whether you renew your commitment annually, make a monthly sustaining gift or give to special campaigns. Your contributions make our work possible. Make a difference today by giving online and join more than 50,000 Center members who create a lifeline for hundreds of imperiled plants and animals. Please open the link and donate to this worthy cause. This week we want to discuss the so-call conservation industry. Although millions are being spent by conservation organizations every day, the environment is in deepening crisis. Current conservation practices often decrease biodiversity, encourage destructive development projects, and result in mounting human rights abuses. It’s time to wake up and realize that there is another, better way. Long before the word “conservation” was coined, tribal peoples developed highly effective measures for maintaining the richness of their land. Even the world’s most famous “wildernesses” – including Yosemite, Yellowstone, and the Serengeti – were home to tribespeople, who managed their environments for many generations. The conservation movement was born in the USA, when tribal people were violently evicted from their ancestral homelands in order to create money-making national parks. Now, these areas are still geared toward mass tourism and its businesses. The legacy created in the United States lives on. The illegal, violent displacement of tribal peoples is being replicated around the world in the name of conservation. And many conservation organizations willingly partner with environmentally destructive industries, including logging and mining companies. This is not how to save the environment – it is a con. And it is time it was stopped. Please join the struggle to return management of ancestral lands to the indigenous people who best know how to manage them. Mauritania has the worst slavery problem on the planet. Today, up to 20% of the entire population are slaves. They are born into it or sold to masters, abused, raped and exploited. And like the historic trade, this slavery is racist -- almost all slaves are African Haratin. Mauritania was the last country in the world to abolish slavery, and it only became a crime in Mauritania in 2007. Despite it being illegal, and Mauritania having an Anti Slavery Act and a roadmap to end slavery, just one slave master has been successfully prosecuted. Biram Dah Abeid is a leading anti-slavery activist in Mauritania. The organization he founded, the Initiative for the Resurgence of the Abolitionist Movement has fought for the freedom of countless men, women and children. He and two associates have been sentenced to two years in prison for “belonging to an illegal organization, leading an unauthorized rally, and violence against the police”. The charges and trial are a travesty of justice. Please join the call for their release. Photojournalist Mahmoud Abu Zeid (m), known as Shawkan, has been referred to a criminal court. He has spent more than two years in pre-trial detention, which is against Egyptian law. Shawkan’s health is deteriorating as he is being denied access to medication. Please act. The UA is saved on a drive. Justice for torture victim Yecenia Armenta now! Yecenia was arrested and tortured to sign a confession for a crime she says she didn’t commit. She deserves to be free and to see her torturers brought to justice, as do so many other torture victims in Mexico. Please act on her behalf. Mexican photojournalist Rubén Espinosa was just found tortured and murdered, along with human rights activist Nadia Vera and three other women. 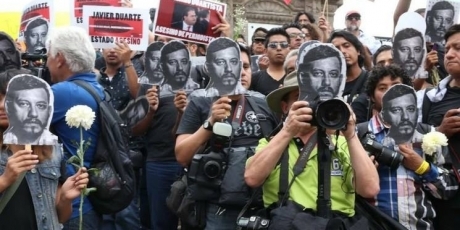 Freedom of expression is under attack in one of Latin America's oldest democracies, and Rubén is the 14th journalist killed in the southern state of Veracruz where governor Javier Duarte has made open threats against reporters. Almost none of these crimes have been solved. Please sign the AVAAZ petition for justice. Protest the crackdown on lawyers! In a single week, 220 lawyers and activists were targeted and branded as a 'criminal gang' by the Chinese authorities. Please join the outcry. We have all enjoyed the National Gallery in London. Now let us all stand up for the people who work there and help us appreciate the treasures. 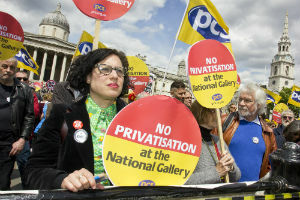 Staff at the National Gallery in London, organized by PSI affiliate the Public and Commercial Services union (PCS), have been on strike since February 2015 following the Gallery's decision to privatize two thirds of staff, including those who look after the paintings and help the gallery's six million annual visitors. 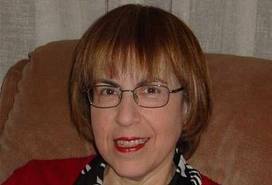 The union leader was unjustly sacked for her union activities. Please protest.